The R&S®QPS millimeterwave personnel scanning system delivers the most accurate measurement results in 2.5 s. The instantaneous scan requires only 64 ms or five times faster than the blink of an eye, virtually eliminating the ambiguous readings that occur due to accidental movement with the longer scan time of current imaging technology. Screening time for the R&S®QPS: After stepping onto the scanner’s footprints and slightly raising your arms away from your side as shown on the panel, the operator presses the scan button. The screening process seems nearly instantaneous to both the passenger and operator. 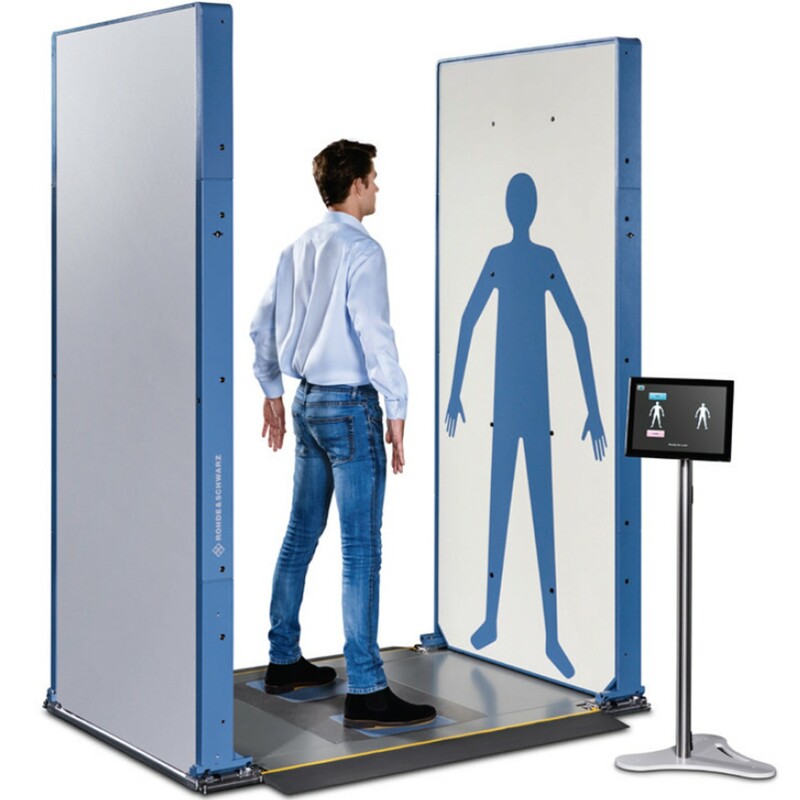 Security screening of passengers at airports, employees at secure facilities or the public at stadiums and mass gatherings is a challenging task. The technology must balance security effectiveness, operational efficiency and user experience. 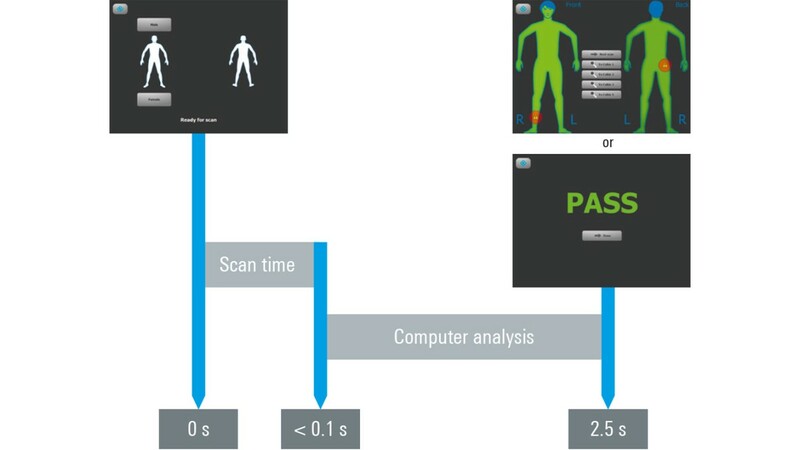 This requires advanced fast scanning methods that combine operational comfort with accurate and efficient threat detection. The R&S®QPS system’s high-resolution technology detects concealed threats and contraband faster and more effectively than any other personal screening system today. The high-resolution millimeterwave technology provides unparalleled detection capability of both metallic and nonmetallic materials with a higher probability of detection (Pd) and lower probability of false alarm (Pfa). This combination of higher Pd and lower Pfa increases security effectiveness and reduces the need for secondary screening and alarm resolution procedures. The security operator can quickly determine if secondary screening is required based on the alarm location clearly shown on the avatar. 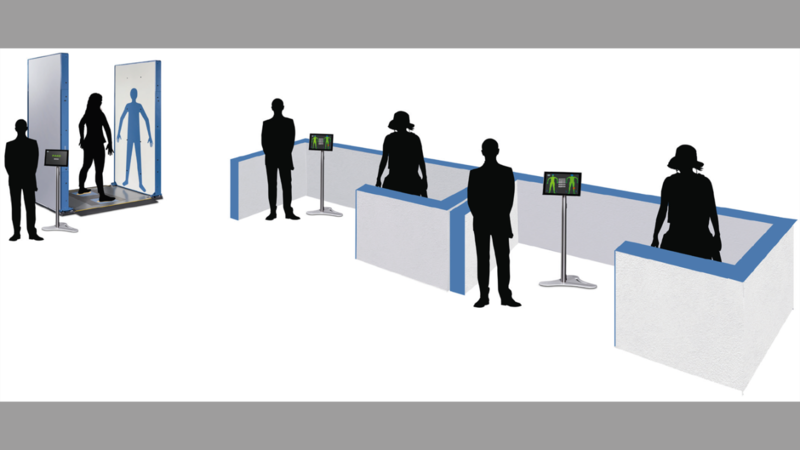 Secondary screening can be streamlined by utilizing multiple resolution stations, which allows the scanner to continue scanning the next people in line and maintain a forward flow. The R&S®QPS scanning pose with arms held slightly away from the sides is an easy, natural and comfortable position for passengers. 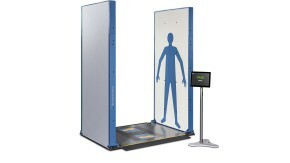 The tight encapsulated spaces of legacy body scanners have become a thing of the past. The sleek, space-saving flat panels can be integrated into the checkpoint area without barriers. The open design gives security personnel an unobstructed view of the entire checkpoint. It also saves critical security space since persons in wheelchairs can pass through the scanner, eliminating the need for a separate wheelchair gate. The small yet open footprint facilitates rapid, high volume screening to reduce queues and wait times. When using four resolution stations and with sufficient staff, checkpoint throughput can exceed 900 passengers per hour. No moving parts and a simple touchscreen interface simplify the screening process. Improved accuracy: The R&S®QPS technology reduces time-consuming and embarrassing secondary screening measures. 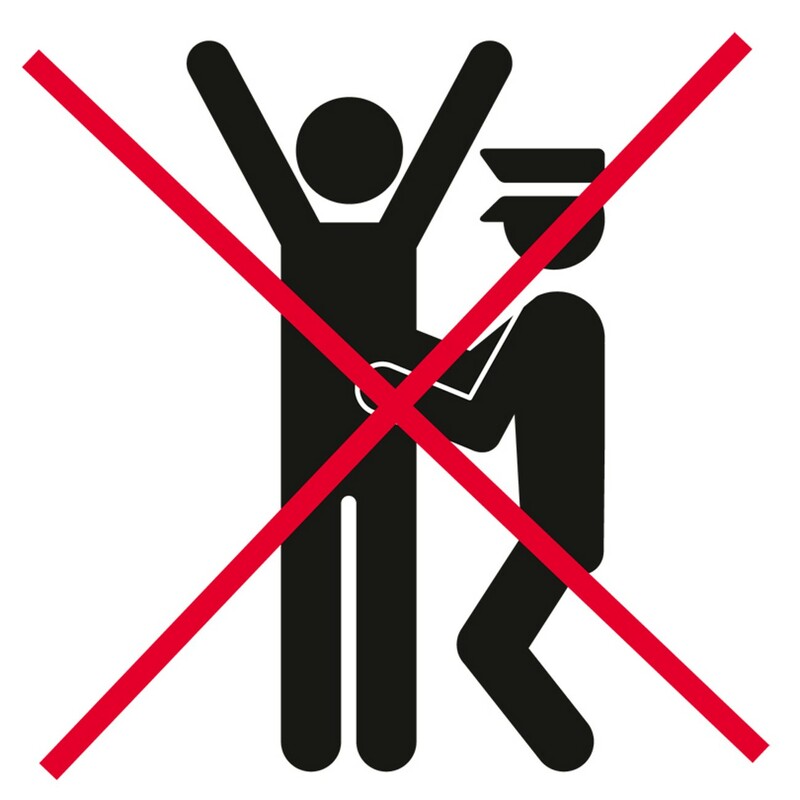 Previous scanning procedures were considered unpleasant by many since passengers had to hold their hands up in the air as if being stopped by police. 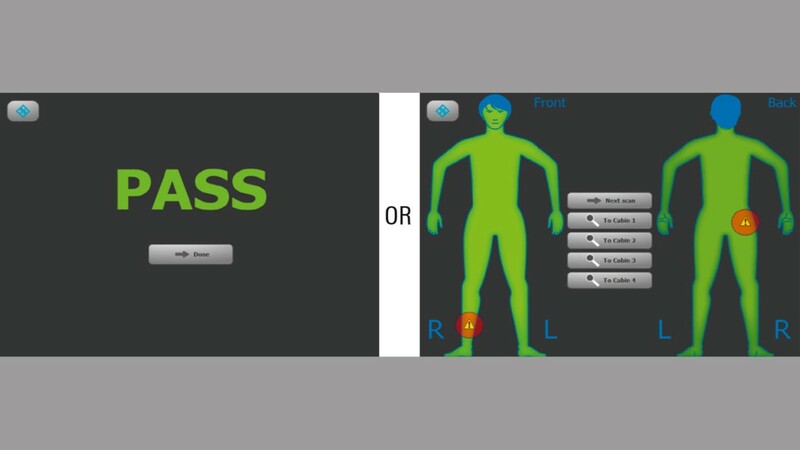 The R&S®QPS scanning pose with arms slightly held away from the sides is easier, more natural and more comfortable for passengers, and even possible for many physically impaired individuals. Passengers with hip/knee replacements, metal pins, etc. no longer need to go through special screening since the test system signals do not penetrate the human skin. Multiple alarm resolution stations can be included to increase throughput to more than 900 persons per hour.